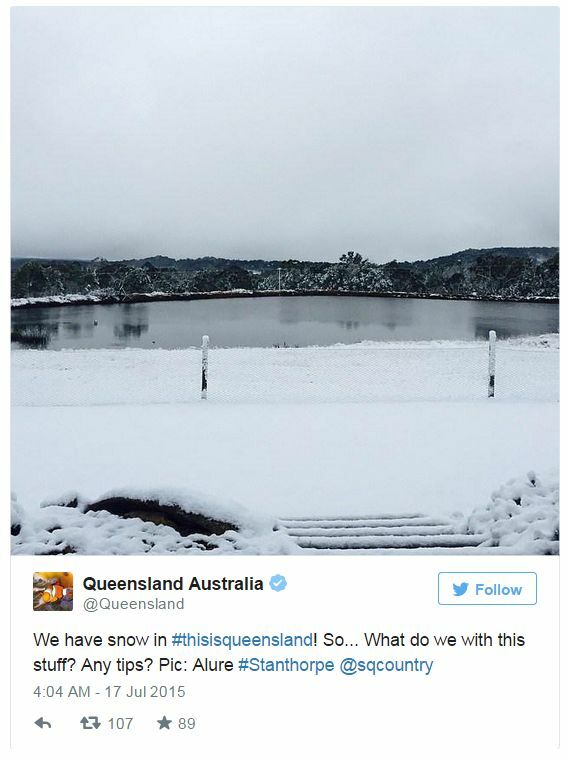 Would you beat that - snowfall right in the middle of the Australian summer? 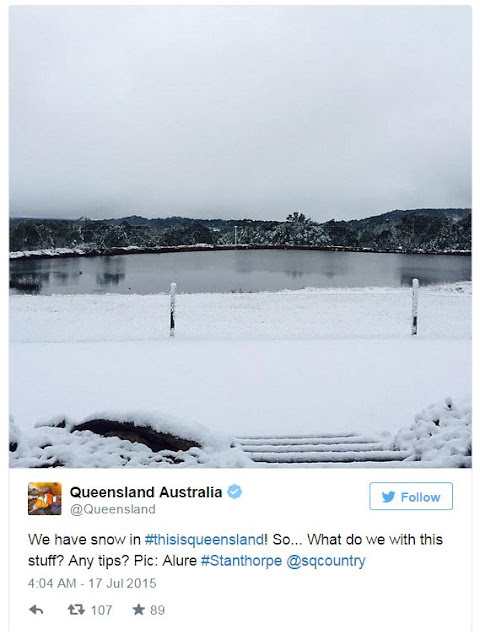 Well if you do not believe, see the photo above of Queensland, Australia where weather was predicted to be sunshine. But then the temperatures dropped - below zero and came the snowfall.